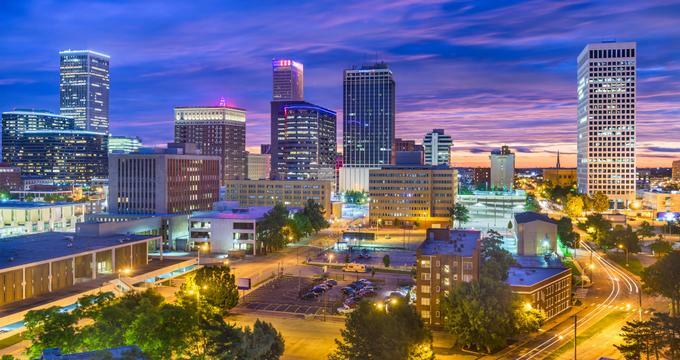 Visit Tulsa on your next weekend trip to get to know this unique city in Oklahoma. Art lovers can explore the Philbrook Museum of Art located in a beautiful Italian Renaissance villa surrounded by gardens, visit the Gilcrease Museum, the Tulsa Art Deco Museum or 108 Contemporary. Best things to do in Tulsa, OK for couples include the Woodward Park and the Tulsa Farmers’ Market. Located south of downtown Tulsa, the Philbrook Museum of Art is partly housed in a striking villa designed in 1927 by architect Edward Buehler Delk. Situated on 23 acres of land, the Italian Renaissance villa was built for Waite Phillips, a wealthy oilman. 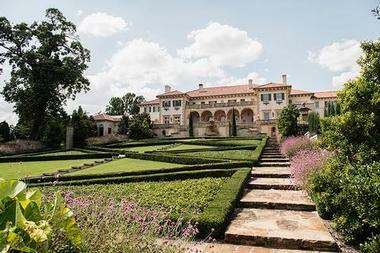 He gave the 72-room mansion to the city of Tulsa in 1938, and the museum opened a year later. Its impressive collection includes works by notable artists like Picasso and Andrew Wyeth. The museum offers tours of the exhibits and highlights of the collection every day, which are led by experienced docents. A stroll through the beautiful gardens is one of best the things to do in Tulsa OK.
Named for Thomas Gilcrease, an oilman and avid art collector, the Gilcrease Museum houses one of the world’s largest collections of artwork of the American West, along with a number of artifacts from Central and South America. 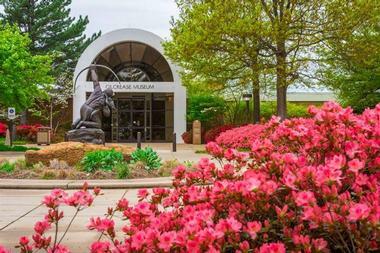 It is located on North Gilcrease Museum Road northwest of downtown Tulsa and is one of the top Tulsa attractions. The museum sits on 460 acres, 23 of which have been developed into themed gardens. The museum always strives to provide educational opportunities and therefore offers classes, events, programs, and workshops. There are public tours of the permanent collection led by trained docents, and the museum also offers special group tours. 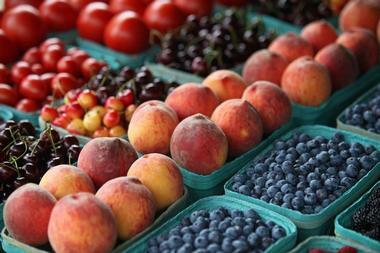 Located on 15th Street in “The Cherry Street District” of Tulsa, the Tulsa Farmers’ Market is a popular market that offers fresh locally produced items during the warmer months of the year. It first opened in 1998 and was initially called the Cherry Street Farmers’ Market. The market’s goal is to only sell products that are local, seasonal, and sustainable. Starting with just a small group of vendors, the market has since grown to include nearly 100 vendors, mostly thanks to community support. After experiencing, the market has expanded, opening several new markets in other locations. The market is open on Saturday mornings from April to October. A visit to the farmers' market is one of the best fun things to do in Tulsa on a romantic date - you can have delicious snacks and relax in a friendly setting. Keep reading for more things to do in Tulsa this weekend. Located in Tulsa’s Brady Arts District, the Woody Guthrie Center is a museum dedicated to the life and works of Woody Guthrie, celebrated American folk musician, singer, and songwriter. 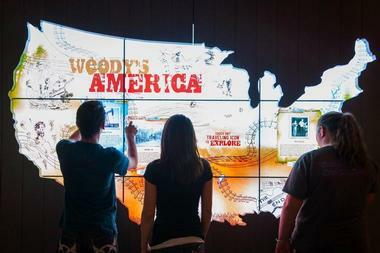 It is an interactive museum that allows visitors to see Guthrie’s instruments, artwork, lyrics, notebooks, photographs, and other notable pieces of historical memorabilia. The center also screens a biographical film and hosts folk music events. The Woody Guthrie Archives is a particularly interesting section of the museum, as it contains the world’s largest collection of Guthrie-related material. The Woodward Park and Gardens Historic District is an arboretum, botanical garden, and public park located on South Peoria Avenue. Named after Helen Woodward, the park was established in 1929. Woodward Park sits on 45 beautiful acres of land, and consists of several specialty gardens such as the Tulsa Rose Garden. These formal terraces were established in 1935 and contain more than 9,000 roses, representing 250 stunning varieties. 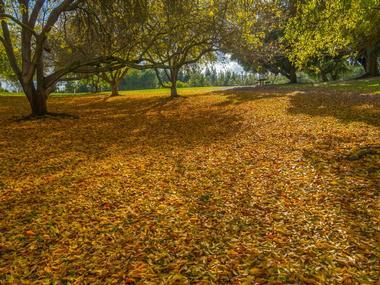 Listed on the U.S. National Register of Historic Places, the park is also known for its Upper and Lower Rock Gardens. Other interesting features of the park include a glass conservatory and a sunken garden, among other delights. 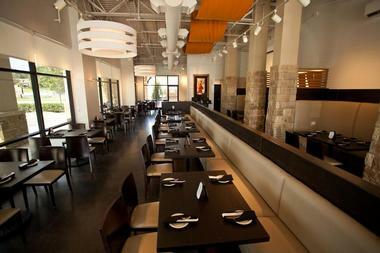 KEO is not your typical Asian restaurant. When preparing food, the chefs and kitchen staff always keep in mind three incredibly important principles: good health, fresh produce and ingredients delivered daily, and a passion for Asian cuisine. The cuisine at KEO is highly influenced by Malaysian, Vietnamese, Thai, and Cambodian traditions. The kitchen even prepares gluten free or vegetarian versions of some of their delectable dishes. Naturally, the restaurant serves traditional sake and Asian cocktails with lemongrass or lychee, but they also offer selections from rich wine collections from Austria, Italy, France, and New Zealand. A day of pampering at Tulsa’s Spa Lux is one of the best gifts you can give to that busy workaholic in your family, and don’t forget yourself! Daily stress, long to-do lists, and the pressure of responsibilities leave traces on our bodies as well as our minds. Treat yourself to a day of relaxation at Spa Lux’s cool, elegant soothing space, where the de-stressing starts at the entrance. The best way to use their services to their full potential is to choose one of the spa packages. Whatever you choose, it all starts with a foot bath, an incredibly calming and relaxing service that will put you in the right frame of mind. If you choose the Total Body Deluxe Package, you will a 55-minute body mask, 85-minute Swedish massage, 30-minute revitalizing scalp treatment, and 85-minute facial and they will even treat you to lunch. Their Escape Package includes a 55 minute Zen hot stone massage, a 55-minute purifying clay body mask, and a 30-minute customized mini-facial. Whatever package or treatment you choose, you can begin or end it with some complimentary time in the sauna or steam room. When you finish, you will be asking yourself why you waited so long and when you’ll be back. Tallgrass Prairie Table, an incredible restaurant driven by a farm-to-table principle, was founded in 2014. Since then, it has become a popular and beloved favorite around town. It has three inviting dining areas that are tastefully decorated in a rustic style. The crystal chandeliers made by a local artist add just the right amount of elegance. One of the dining spaces has a direct view of the open kitchen, allowing guests to get a direct view of all the action. The bar is located in the second room, which also has a large communal table. To get to the back room, which accommodates up to fourteen people, you have to pass through charming wooden barn doors that enhance the character of the restaurant. Executive Chef Michelle Donaldson is passionate about sourcing the majority of her ingredients from local farms, making her famous Duck Confit Jambalaya and all the other dishes all the more delicious. Tallgrass Prairie Table also serves local beers on tap, craft cocktails, and several selections from a boutique wine list. 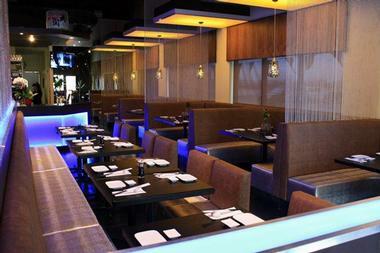 Sushi Hana is a trendy Japanese fusion restaurant. Owner Kenny Chan met three sushi masters in the Big Apple, and he invited them to join him to create something completely new and exciting in Tulsa. Each of the chefs has a different style of cooking, ensuring that your dining experience at Sushi Hana will be completely unique. The team is constantly coming up with new recipes and specials, and even the most seasoned connoisseur of sushi will be pleasantly surprised. Some of the favorites at Sushi Hana include the lobster mango roll, the tuna hut, and the peppercorn steak teriyaki. The Oklahoma Jazz Hall of Fame is located in the former Tulsa Union Depot, a 1931 landmark Art Deco building that originally served as the central railway station in downtown Tulsa. 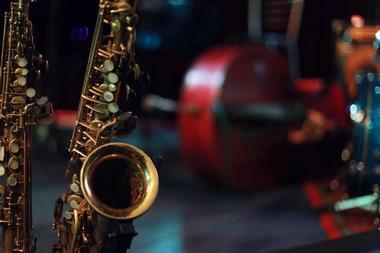 After extensive renovations, the Oklahoma Jazz Hall of Fame began using the facility in 2007 to showcase individual blues, gospel, and jazz musicians as well as music groups from the state of Oklahoma. 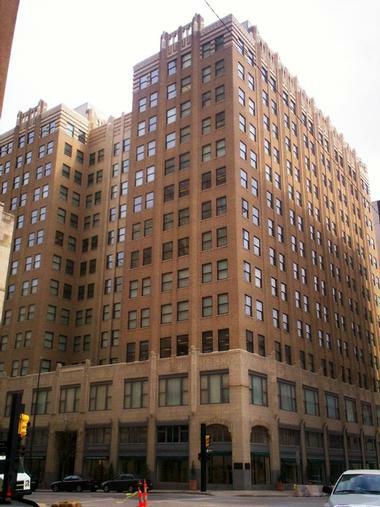 The building is now called the Jazz Depot: it is a museum with artifacts, memorabilia, and photographs related to Oklahoma musicians. It is also a venue for concerts, arts programs, and other events. Education programs include after school programs, a Performing Arts Academy for children, and much more. STG is a unique restaurant whose name stands for “Specialty and traditions, guaranteed.” The philosophy STG uses to approach their culinary practice is simple – to be faithful to an authentic process. The pizzas here are baked at 900 degrees Fahrenheit for 90 seconds, the exact same process the chefs use in Naples, Italy. The chefs are meticulous in their cooking, and always insist on the best; only one kind of tomatoes is used at STG - La San Marzano La Regina tomatoes. Every tomato is inspected, ensuring each one is absolutely perfect. The kitchen imports a very particular kind of buffalo milk mozzarella and wheat flour directly from Naples. All other ingredients are sourced locally. 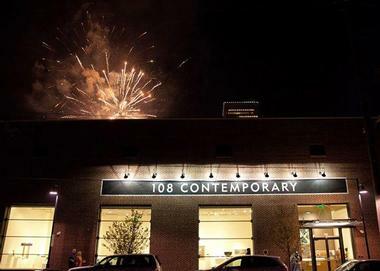 Housed in the renovated Mathews Warehouse Building on East Brady Street, 108 Contemporary is a museum located in the Brady Arts District. The museum focuses on contemporary crafts and features works made of ceramic, fiber, glass, metal, paper, wood, and other materials. Preserving Oklahoma’s Native American culture is also one of the museum’s goals, and it showcases stunning baskets, beadwork, pottery, and rugs. The museum also recognizes the importance of education and offers a variety of lectures, videos, and workshops. Typical programs include subjects such as the “Statewide Knitting Project: The Unbearable Absence of Landscape,” and “Art Badge for Scouts.” The museum also has a gallery and shop and is open from Wednesday to Sunday. Andolini Pizzeria is operated by the Bausch brothers and their partner John Davey who own and manage some of the most authentic Italian eateries in Oklahoma. “This is not like Naples here, it is Naples,” they say. The team is constantly improving its skills by travelling and seeking out new techniques, and the also frequently participate in various pizza competitions worldwide. 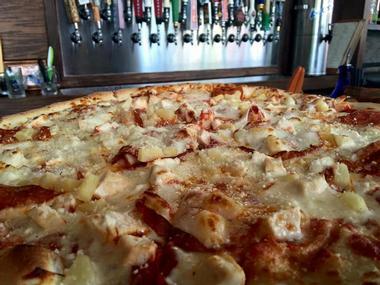 Some of the favorite specialties include White Pizza, Vesuvio, and The Clemenza, and Andolini Pizzeria also offers a wide variety of craft beers to accompany your meal. Located just south of Woodward Park, the Tulsa Garden Center, which is part of the Woodward Park and Gardens Historic District, is housed in the David R. Travis Mansion, a 21-room mansion built in 1919 that sits on 13 acres of land. 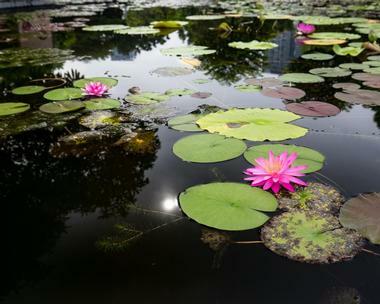 The mission of the center is to provide the community with opportunities to learn about horticulture and the environment, and, at the same time, to preserve the historic mansion. Inside, you will find many photographs of the mansion taken at different times throughout its history. The center offers a variety of classes, events and shows, and boasts an extensive library of more than 5,000 books. The center is open from Tuesday to Saturday. The Tulsa Zoo is located on 85 acres of land on East 36th Street in Mohawk Park, which is one of the largest city parks in the U.S. 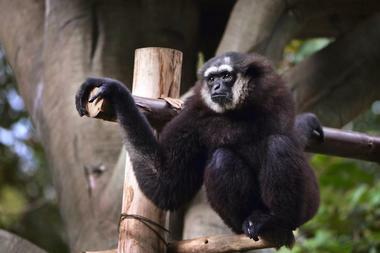 The zoo is a non-profit organization involved in conservation efforts. It also focuses heavily on education and each day, it offers a variety of talks and demonstrations at many of its exhibits. There is a petting zoo called the Children’s Zoo where children are able to get close to a variety of animals such as emus, kangaroos, llamas, otters, prairie dogs, and others. Exhibits include species Africa, Asia, Oceans and Islands, Tropical American Rainforest, and many other fascinating locations. The zoo is open every day. A visit to the zoo is one of the best things to do in Tulsa with kids - you can have fun at the petting zoo and see many fascinating animals from around the world.